Puneet Sayal, MD, MPH, is a board-certified anesthesiologist at the International Spine Pain & Performance Center, with office locations in Washington, D.C., and Arlington, Virginia. Dr. Sayal is also director of research at ISPP Center, managing many of the research efforts in musculoskeletal disease already underway at the practice. In addition to completing a residency in anesthesiology at Massachusetts General Hospital in Boston, Dr. Sayal also completed fellowship training in pain medicine at the University of Texas MD Anderson Cancer Center in Houston. Specializing in pain medicine, Dr. Sayal takes an integrative approach to treating musculoskeletal disease and pain. 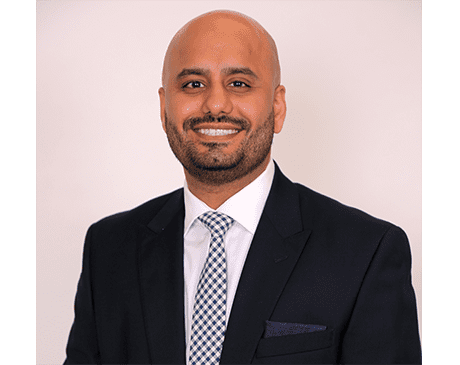 Committed to the use of the latest medical technologies, Dr. Sayal’s clinical interests include cancer pain and neuromodulation and he’s authored a number of peer-reviewed publications on musculoskeletal pain and anesthesiology. Outside the office, Dr. Sayal maintains his commitment to the field of medicine. He’s a current member of the North American Neuromodulation Society as well as the American Academy of Pain Medicine.